Most books that fall under the category of "tobacciana" pretty much fall only under the category of tobacciana. 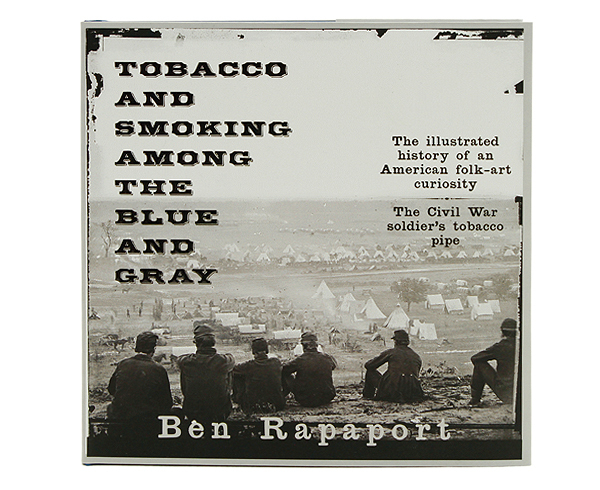 With Ben Rapaport's Tobacco and Smoking Among the Blue and Gray, I'd say we have a case that will appeal as much to history buffs, and especially those with a keen interest in the Civil War period. While there are certainly plenty of full-color pictures of artifacts, along with period photographs and illustrations, in this book, it still remains a text-centric publication, with Rapaport examining and reporting upon pipes and tobaccos from aspects of commerce and consumption, to their role in the soldier's life whether in an army encampment or as a prisoner of war. Well produced. Excellent quality binding & presentation.